Is your furnace failing to turn on and leaving you wondering if you may need a heating replacement in Murfreesboro ? If so, then you may enjoy learning a bit about how these units function. Continue reading for a quick introduction to types of furnace ignition systems. A standing pilot is the oldest type of furnace ignition system and one that many people are familiar with. If your heating system has a standing pilot ignition system, then you should see a continuous blue flame burning if it is working properly. If your standing pilot will not ignite, then try resetting it. Otherwise, there may be something wrong with its thermocouple component, which is responsible for detecting whether the pilot light is lit or not. A furnace with an intermittent pilot ignition system is one that runs on gas but has an electronic ignition system. Unlike with a traditional, standing pilot light, this type of ignition system uses an electrical spark to ignite the gas pilot, and it will only ignite the pilot when the thermostat signals the unit to produce heat. 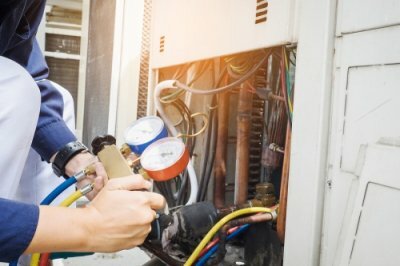 Because it only runs the pilot light when needed, an intermittent pilot ignition system is typically found in newer, more energy-efficient heating systems, and these pilot ignition systems can be more reliable than traditional ones. If your pilot light won’t ignite, then try resetting it by turning it off for five to ten minutes and then turning it on again. Hot surface ignition is another type of ignition system that relies on electricity to ignite. However, as opposed to intermittent pilot ignition systems, hot surface ones have a resistance heating element that warms up whenever the thermostat signals a need for heat. If you have this type of ignition system and you’re wondering whether it is working, then simply look for light, as you will be able to see a red-orange glow coming from the device when a hot surface ignition system is on.